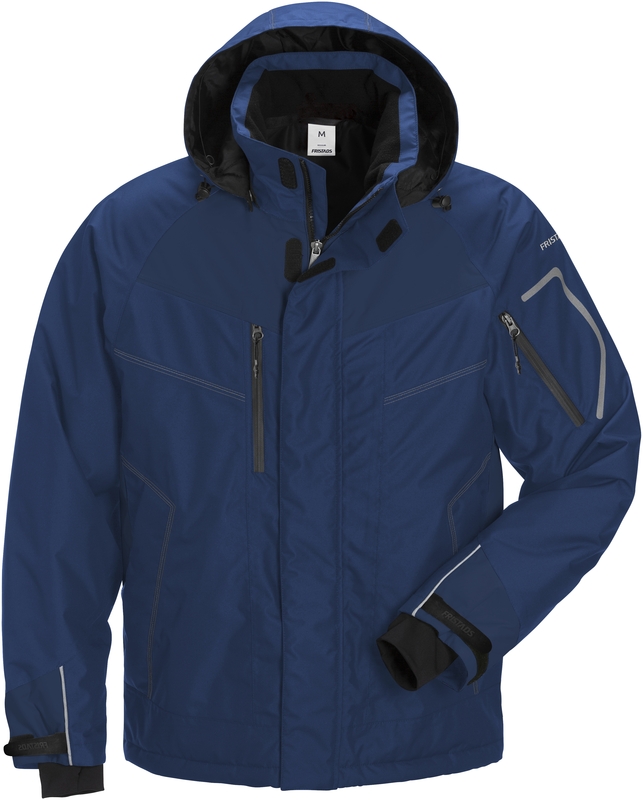 Water-, windproof and breathable jacket with soft quilted padding. 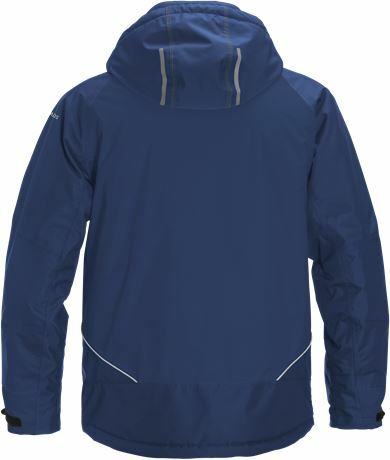 Functional model with many practical pockets and features and a detachable hood. 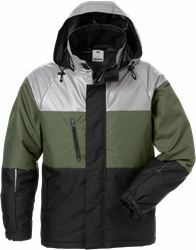 Airtech® breathable, wind and waterproof / Zip to top of collar / Fleece-lined collar / Earpiece loop / Front zip with storm flap / Detachable hood with snap fastening and adjustable drawstring / Inside Napoleon pocket at left side under storm flap / Right side chest pocket with zip, leaving left side for logo / Zip pocket at left sleeve / Velcro-adjustable cuffs / Elasticated cuffs inside sleeves / Pre-shaped elbows / 2 inside pockets with button fastening / Mesh lining in armhole and sleeve end / 2 front pockets with zip / Reflective piping at sleeves, sides and at back / Extended back / Adjustable drawstring at hem / Quilted lining / Zip in lining to make embroidery and transfer easier / Waterpillar 10.000 mm / Garment approved according to EN 343 class 3/1 and EN 342. Shell fabric meets class 3 for water vapour permeability; EN 343 class 3/3.